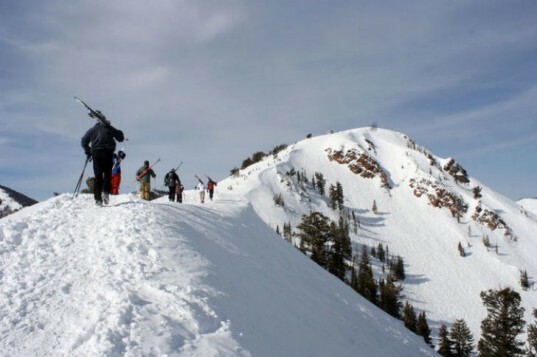 Planning on hitting the slopes this President's Day Weekend? Be sure to choose a resort that values good environmental practices - ski resorts are a great way to get outside and enjoy nature, but they also have a big impact on the environment and they have to do their part to minimize their footprint. Fortunately, all of the resorts in America are rated for sustainability by the Ski Area Citizen's Coalition and given a grade letter A-F. The grades are based on 35 environmental criteria in four main categories: habitat protection, protection watersheds, addressing climate change, and environmental policies and practices. Read on for a list of the 6 greenest resorts in the US! 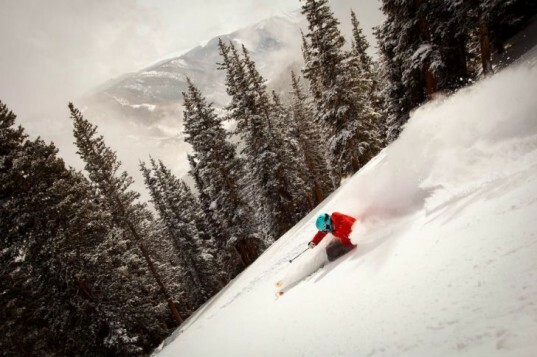 Snow is a critical factor for skiing and snowboarding, so if your favorite ski resort hasn’t made the connection between climate change and their resort, they clearly don’t get it. Your resort should be placing a strong focus on protecting their land, water resources, energy use, waste and a lot more. If you’re resort isn’t in this top 6, check to see how they’re doing on Ski Area Citizen’s Coalition. An A grade means the resort has a strong program focussed on protecting their environment. A B grade or below means the resort needs to ramp up their policies. 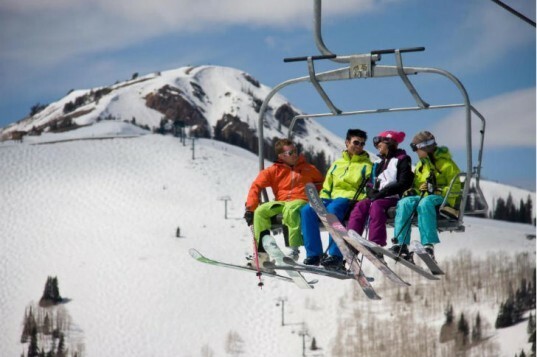 Park City Mountain Resort lands the top grade for sustainability with 93%. With a strong focus on habitat and watershed protection, PCMR knows their ecosystem is super important. In 2011, the resort installed a solar array and vertical wind turbine, which produce around 30,000 kWh’s annually. 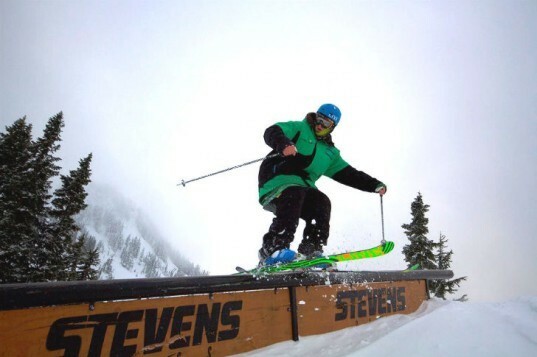 Coming in second is Stevens Pass Ski Resort in eastern Washington with a grade of 92.3%. The resort has a strong commitment to protecting and restoring the natural resources and has a long list of sustainability campaigns to reduce their impact and educate their guests. Located up from Fresno, China Peak Mountain Resort lands 3rd place with a score of 91.7%. The western Sierra resort is dedicated to the concepts of reduce, re-use, recycle to minimize their footprint. Operating on USFS land, the resort is ultra committed to protecting the forest and the land and works with Cal Poly and local nuseries to ensure the vegetation is healthy. 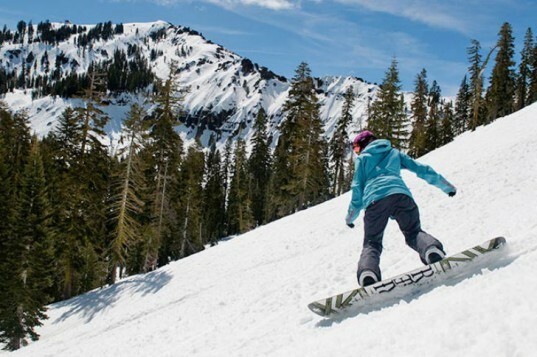 Right off I-80 near Donner Lake is Sugar Bowl the 4th greenest resort in the US with a grade of 90%. The resort is powered by 100% green energy and offers visitors the chance to offset their carbon emissions. They are also dedicated to green building with the help of energy efficiency and community education. Rated as the #1 Resort in the US by Ski Magazine, Deer Valley Resort in Park City is the #5 resort in terms of sustainability with a score of 89.6%. As stewards of the land, the resort has an overall sustainability plan that they work from. They’re still a bit behind when it comes to addressing climate change, the resort is on their way. Aspen Highlands, which is part of Aspen/Snowmass in Colorado has the 6th best score with 88.3% (Aspen Mountain Ski Resort is #7). Aspen Skiing Company has a number of LEEd certified buildings and has their own environmental foundation. The environmental protection program is stellar and hopefully they’ll be ramping up their climate change programs soon. If your favorite resort isn’t in the top 6, check out Ski Area Citizen’s Coalition and find out how they score. Also check out the Sustainable Slopes Initiative, guidelines for the ski resort industry led by the National Ski Areas Association. 1. Park City Mountain Resort, Park City, UT Park City Mountain Resort lands the top grade for sustainability with 93%. With a strong focus on habitat and watershed protection, PCMR knows their ecosystem is super important. In 2011, the resort installed a solar array and vertical wind turbine, which produce around 30,000 kWh's annually. 2. Stevens Pass Ski Resort, Skykomish, WA Coming in second is Stevens Pass Ski Resort in eastern Washington with a grade of 92.3%. The resort has a strong commitment to protecting and restoring the natural resources and has a long list of sustainability campaigns to reduce their impact and educate their guests. 3. 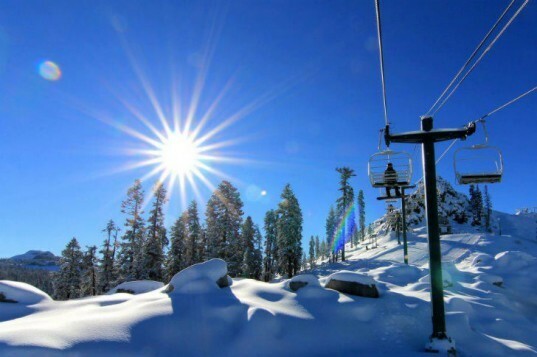 China Peak Mountain Resort, Lakeshore, CA Located up from Fresno, China Peak Mountain Resort lands 3rd place with a score of 91.7%. The western Sierra resort is dedicated to the concepts of reduce, re-use, recycle to minimize their footprint. Operating on USFS land, the resort is ultra committed to protecting the forest and the land and works with Cal Poly and local nuseries to ensure the vegetation is healthy. 4. Sugar Bowl, Colfax Summit, CA Right off I-80 near Donner Lake is Sugar Bowl the 4th greenest resort in the US with a grade of 90%. The resort is powered by 100% green energy and offers visitors the chance to offset their carbon emissions. They are also dedicated to green building with the help of energy efficiency and community education. 5. 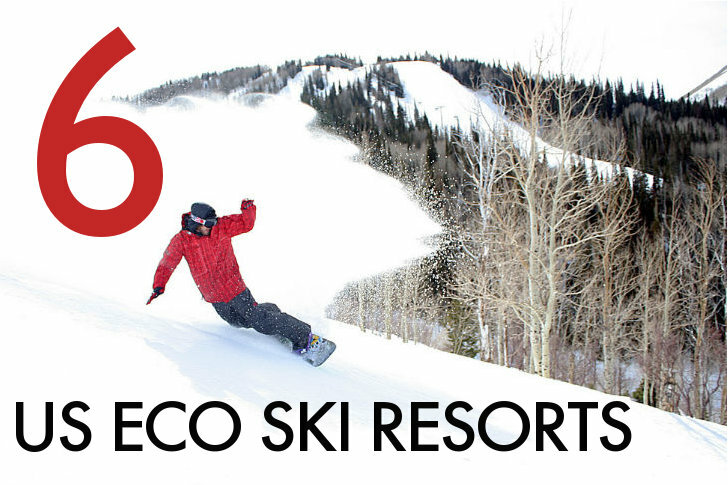 Deer Valley Resort, Park City, UT Rated as the #1 Resort in the US by Ski Magazine, Deer Valley Resort in Park City is the #5 resort in terms of sustainability with a score of 89.6%. As stewards of the land, the resort has an overall sustainability plan that they work from. They're still a bit behind when it comes to addressing climate change, the resort is on their way. 6. Aspen Highlands Ski Resort, Aspen, CO Aspen Highlands, which is part of Aspen/Snowmass in Colorado has the 6th best score with 88.3% (Aspen Mountain Ski Resort is #7). Aspen Skiing Company has a number of LEEd certified buildings and has their own environmental foundation. The environmental protection program is stellar and hopefully they'll be ramping up their climate change programs soon.